A natural source of all three primary plant food elements. 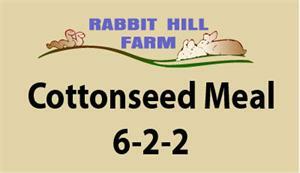 Cottonseed Meal helps create an acidic soil condition, and stimulates beneficial bacteria. May be used on all types of plants. Directions: Apply at the rate of 3-1/2 pounds per 100 sq. ft. Sprinkle lightly over area, work lightly into soil and water thoroughly. *Wash off any fertilizer thet may come in contact with leaves. 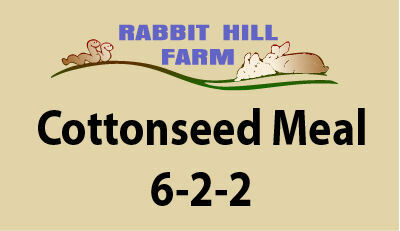 *Apply after danger of last frost in early spring and repeat in early fall to help maintain plants during winter months.